wIt has been said that a kitchen is a reflection of the woman (or the man!) that cooks in it. With our modern lifestyles, it is perhaps more of a reflection of just how busy we are. To minimise the hassle and improve functionality, yet keep the elegant and stylish look of a designer kitchen, JAT Furnishings introduces SEA Kitchens. Making its debut at the recently concluded Architect’s Exhibition at BMICH, SEA Kitchens now has its own state-of-the-art space at The Colts Building, 241 Castle Street, Colombo 8. The SEA Signature Kitchen was displayed at the Architect Exhibition 2018. SEA also presented a live test of their unique PLYFORM – Plywood kitchen range made in Germany. Visitors to the stall had the unique opportunity of witnessing the durability, strength and perfection of the product which is 100% water proof and has a thermal stability up to +150°. The kitchen display was the show stopper at the fair. Alex Sofalvi – Managing Director, Inga Buchholz – Strategic Manager, and Sarah Schmidt – Interior Designer from SEA Kitchens were present at the stall to help visitors truly understand the capabilities of the product. The new showroom space delivers a unique experience to the customer who would want to visualise, touch and feel their personalised kitchen before making the investment. Housing exceptional kitchen designs, the SEA Kitchens showroom designed by JAT Holdings also boasts unparalleled customer service and outstanding quality. SEA Kitchens’ unique designs use materials and finishes that mirror nature and are inspired by the elements. Glass, ceramic, wood or even lacquer finishes make up bespoke kitchens that truly reflect the personality of the homeowner. Made to the most stringent international quality standards, SEA Kitchens are durable and are true value for money. 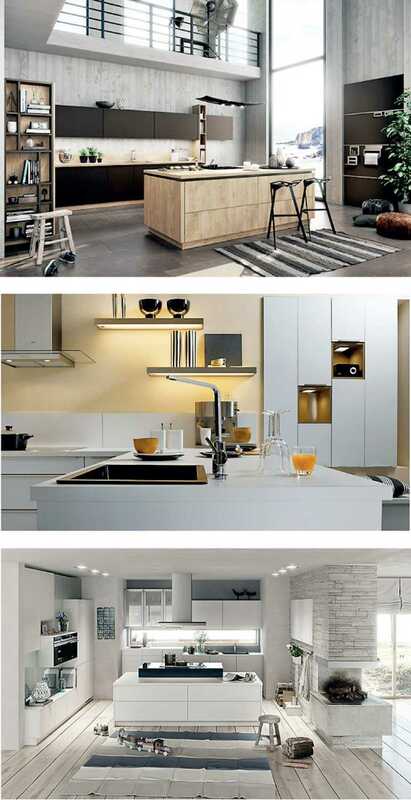 In order to personalise every minute detail of the kitchen unit and ensure adaptability with Sri Lankan conditions, a fully in house stationed, SEA Team with designers, showroom manger and master carpenters all from Germany, will undertake and oversee the installation, logistics and after sales services. Only JAT Holdings can offer this team of experts, who will be present at the showroom to create unique custom made kitchens that fit your requirement and budget. For more information please visit the SEA Kitchen Showroom or call 011 5288 662.